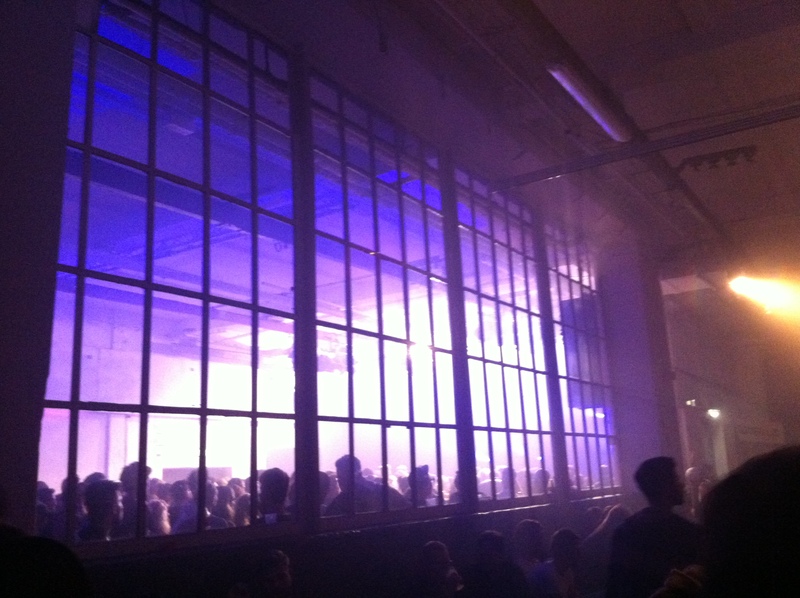 The reason I chose early September to go to Berlin was for the simply but aptly named Berlin Festival, a 48-hour event packed with excellent DJs (11 pm Friday to 11 pm Sunday – very efficient, German-style). I saw the lineup for this year and had to extend my trip by a few days to include it. Laur graciously bought our tickets super early, so our planning was top notch for my brief three days in my favourite city ever (so far). Some of you might be thinking that working a full day, flying across the ocean overnight, and then attending a festival for three nights straight and staying out until the sun came up, only to fly to Stockholm the morning after, sounds kind of crazy. You’re right, it is totally ludicrous. But while I’m young(ish), why not do as many awesome things as possible? After meeting a few of Laur’s friends for dinner and a reasonable pint or two, we left at about midnight and made our way to Arena Park, a combination indoor/outdoor venue that also features smaller bars and the huge old hangar, pictured above, where the biggest DJs played their sets. 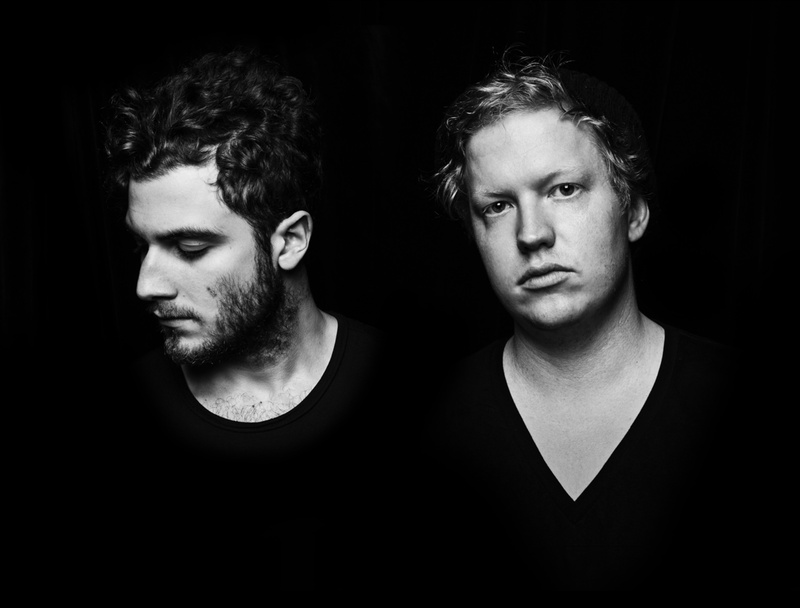 Darkside is an enigmatic duo comprised of guitarist Dave Harrington and electronic musician Nicholas Jaar. I’d heard of Jaar a while ago, and really like his solo stuff, but I was a relative newcomer to Darkside’s darker, grungier sound. We got to the main stage partway through their set, but it was a great introduction to what the weekend held in store for us. Darkside has announced that they’re finished collaborating in this capacity, at least for the time being, so we were lucky to see them play to such a large and enthusiastic crowd. If you’re curious, here’s the first song that I ever heard by Nicholas Jaar, “Russian Dolls,” which I still find unsettling in the best possible way. Next, we headed over to Glashaus, a much smaller, much sweatier, much narrower space with one full glass wall separating it from the bar. This was a great spot to see a DJ, but it also got pretty claustrophobic once the beats dropped. It’s a good thing Jacques Greene puts on such a phenomenal show – we’d only been at Berlin Fest for a couple of hours, and yet this was one of my favourite sets of the whole weekend. Jacques Greene is a house DJ from Montreal, so we had reason to be proud Canadians. His show was much more intense than anything I’d heard online – but this was an overall theme of the festival. As Laur said, when you’re playing in Berlin you really have to amp it up because the audience is so used to the best DJs in the world stopping by on a regular Tuesday night to blow their minds. In Toronto, you can get away with a chill performance – not so in this city. Jacques killed his high-energy set, and we walked right to the front of the stage because Germans don’t know how to mosh in close to each other. They just kinda sway with their hands at their sides while we non-Germans wave ’em around (you know, like we just don’t care. Or whatever). We left Glashaus with our hair sticking to our necks and in serious need of some hydration. 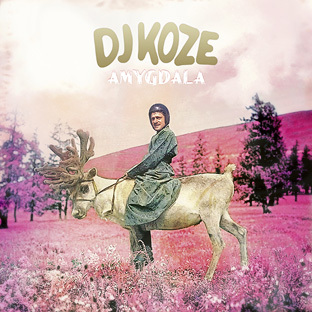 DJ Koze was an unknown for me, but Laur insisted that we catch his set in the big Arena venue – such a good choice. 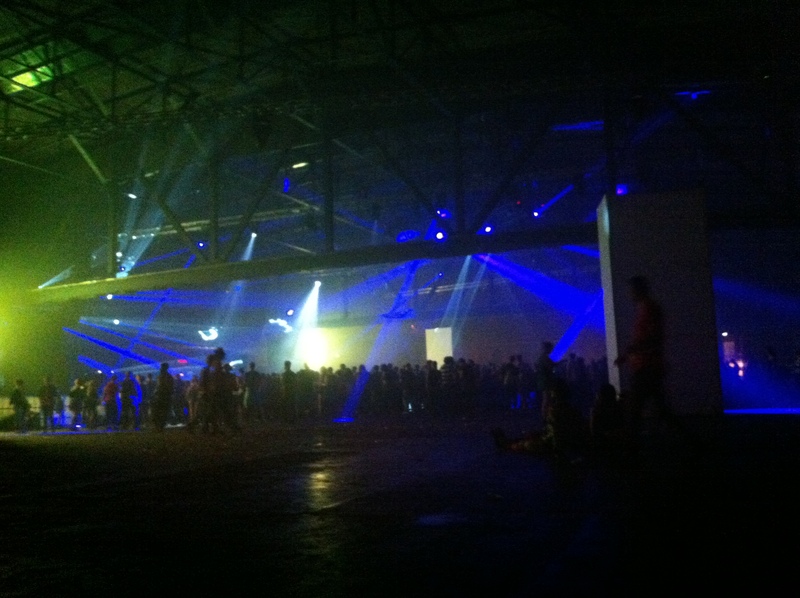 The German-born Stefan Kozalla played a perfect minimal-techno set to a full house (or should I say, airplane hangar). DJ Koze is huge in Berlin, no surprise, and his set played to the crowd perfectly. 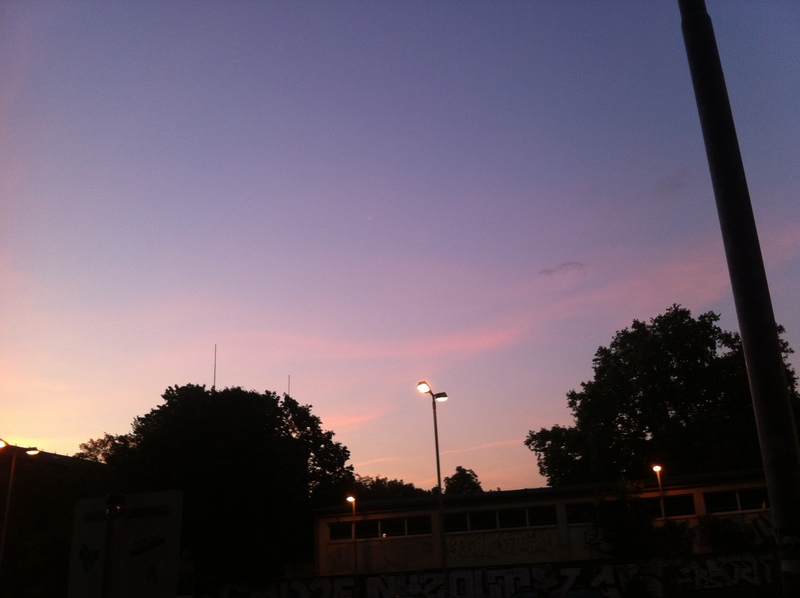 I should also mention that this set was from 3 to 5 am, and I had landed in Berlin about 18 hours earlier. It was the best start to my vacation that I can imagine. At last, Ellen Allien blithely hopped up on stage to take over for DJ Koze at 5 in the morning. I’ve wanted to see her since I first listened to her absolutely perfect collaboration with Apparat in 2006 called Orchestra of Bubbles. You can listen to it here (and the site is charmingly old school). Ellen was constantly dancing behind her turntables, while still making perfect transitions between songs. Her vibe was pure positive energy, and everyone loved it. She would also take the mic once in a while to tell us that we are an awesome audience and she loves us (or did I just imagine that?). It was delightful. When you hear DJs this good, you understand how they can make a career of living and breathing the music they create. And the audience laps it up voraciously, eternally roaring for more. Alas, my sister and I are not robots. We decided around 6 am that it was time to walk back to her apartment – with a life-sustaining pizza stop on the way – and go to sleep as the sun came up. 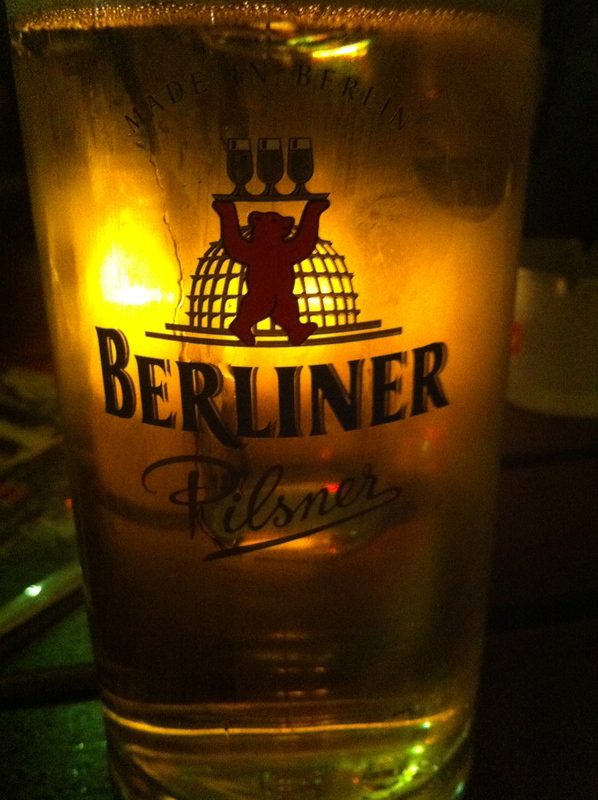 And that was my first night in Berlin.